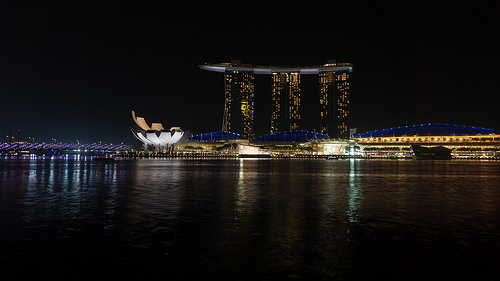 Government of Singapore Investment, one of the two ventures owned by the Singaporean government, is planning a number of investment opportunities now that Mexico has opened up its energy sector. One of the GIC’s upcoming projects is a partnership with Mexican oil company Pemex, the latter which was forced to give up most of its oil field to end up its 70-year monopoly in this sector. “We think Pemex is being transformed by inspirational leadership,” said Anthony Lim, GIC’s president for the Americas. “We are open. We will explore any investment opportunity that is brought to us.”Lim also showed interest in approaching public company such as the state electricity company CFE, which is also being transformed to become more productive and up to the new government’s standards. GIC’s decision to venture into the Mexican oil industry is one that will be welcomed by the government. President Enrique Peña Nieto’s government has been trying to attract foreign investors since 2013 before the energy reforms were passed. In fact, foreign secretary Jose Antonio Meade had met with a group of businessmen in October 2013 and signed a memorandum of understanding between the Mexican infrastructure and construction company ICA and the Singaporean company KS Energy. Both planned to form a company in Mexico to provide drilling services and equipment, boosting oil and gas exploration. However, the reforms have been receiving much resistance, especially from the left which believes that foreign oil majors will control Mexico’s resources. To that, Lim from GIC comments, “We don’t seek control. We are long-term investors. We are very, very patient.” Lim also pointed out that this level of skepticism actually makes it worthwhile as he believes that opportunities will thrive in any business “where we see there could be a valuation mispricing gap between what the market thinks and what we think the new management brings to the table… that’s why we’re interested”. While the first project of GIC in the country may be partaking in a tender for a new airport in Mexico City, Lim says that it intends to be very careful while picking its points of entry. GIC has already started adding to its 3% of assets invested in Latin America to come close to the 40% belonging to the U.S. and the 25% of Europe. However, it hasn’t disclosed the size of its assets yet. In addition, the government-owned organization is considering Brazil to increase its presence in Latin America. Singapore is currently Mexico’s second largest investor from the Asia Pacific region and the fourteenth largest internationally. It is also the fourth largest trading partner in Asia, with its trade amounting to USD 2.095 billion.